Work on Raymond Park is nearing completion and was helped along yesterday by 25 awesome students (and their fantastic teachers) from Prior Lake High School! 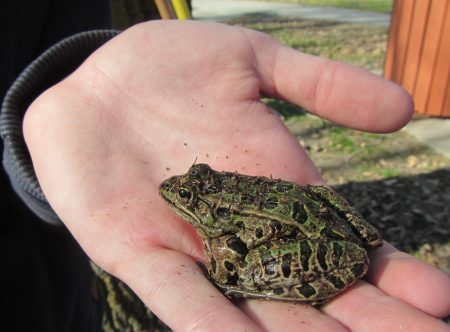 The students, either part of the EcoTeam or in AP Environment Science at Prior Lake HS, had a chance to learn about the restoration project firsthand and get some hands-on experience. 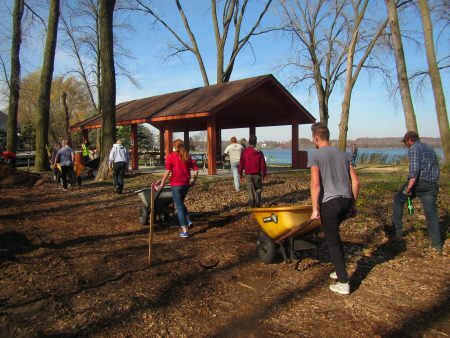 The hard-working crew helped plant native plants along the shoreline and haul mulch to build a new trail through the oak savanna. 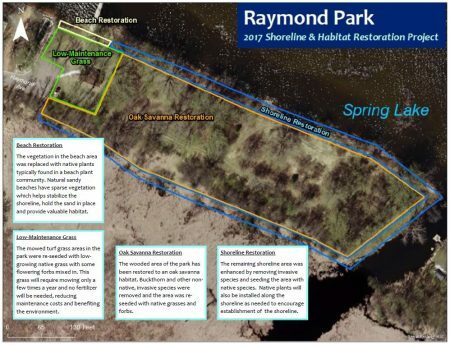 The District is partnering with the City of Prior Lake as well as Spring Lake Township and Great River Greening to complete the restoration project at Raymond Park, located on the south side of Spring Lake. The project includes buckthorn removal, an oak savanna restoration, beach plant community restoration and replacing the existing turf grass with low-maintenance grass. For more information on the project check out the project factsheet. Work at the park is winding down. The shoreline, oak savanna and grass area have all been seeded with native plant species. Buckthorn has been removed from the site or girdled and treated to kill it. Native plant plugs were added along the shoreline by the Prior Lake students this week. Everything at the site should be wrapped up by the end of the year.